"Polyrhythmic syncopation" is not something I thought I'd ever be able to describe with a Travis Scott song. 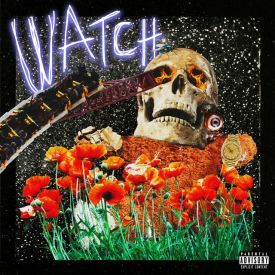 'Watch' pulls together three of Hip-Hop's biggest stars for a triumphant sounding anthem track with a great performance by both Travis Scott and Lil Uzi Vert, as well as one of Kanye West's best verses in years. Definitely wish this would've made it on the album as a bonus track or something. Definitely a highlight single of 2018. A great song from Travis, Uzi and Ye. However the track sounds like Uzi's track instead of Trav's. Ye's verse is actually not that interesting however he has some serious bars on the track. Trav blends into Uzi on the song and the production is great. Yeah, the song is a bit generic trap banger but does it matter if it sounds good. I loved Kanye's verse the most but Travis and Uzi aren't too far behind. The instrumental is also good. Dissapointing. This doesn't reach the bar set on Rodeo or even BITTSM. Uzi's verse sounds awful, Kanye and Travis are alright and the beat sounds like something that could go on Huncho Jack. It's good by itself, but not good by Travis' standards. I hope this is just one of the weaker tracks of the next album, because this doesn't sound like Travis finally going back to more creative and well executed ground.